Mary Jane Leach will give a lecture as well as offer feedback on individual pieces. Participants should bring a short piece of their own (i.e. on laptop) to present and discuss – or, if you don’t have a piece to share, come with a specific question about a piece or process. Places are limited to 10; please email us with a few sentences about yourself in order to secure your place. Mary Jane Leach is a composer/performer whose work reveals a fascination with the acoustic properties and how they interact with space. 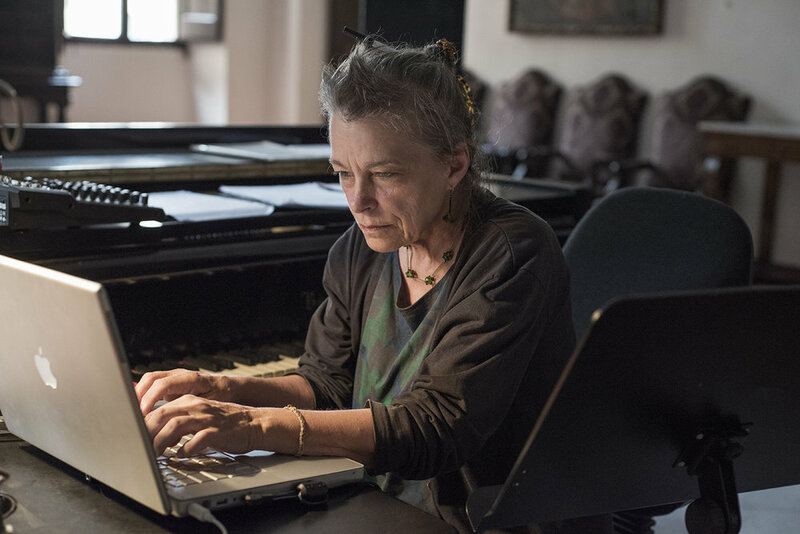 In many of her works Leach creates an other-worldly sound environment using difference, combination, and interference tones; these are tones not actually sounded by the performers, but acoustic phenomena arising from Leach’s deft manipulation of intonation and timbral qualities. The result is striking music which has a powerful effect on listeners. Critics have commented on her ability to “offer a spiritual recharge without the banalities of the new mysticism” (Detroit Free Press), evoking “a visionary quest for inner peace” (Vice Versa Magazine), and “an irridescent lingering sense of suspended time.” (Musicworks Magazine) Leach’s music has been performed throughout the world in a variety of settings, from the concert stage to experimental music forums, and in collaboration with dance and theatre artists. Recordings of her work are on the die Schachtel, Lovely Music, New World, XI, Starkland, Innova, and Aerial compact disc labels.